Marty’s photo of the day #2470: Much has happened this morning, so I’m running late. And when that happens, there’s only one thing to do: dip into my massive collection of penguin photos. Ah . . . here’s one now! 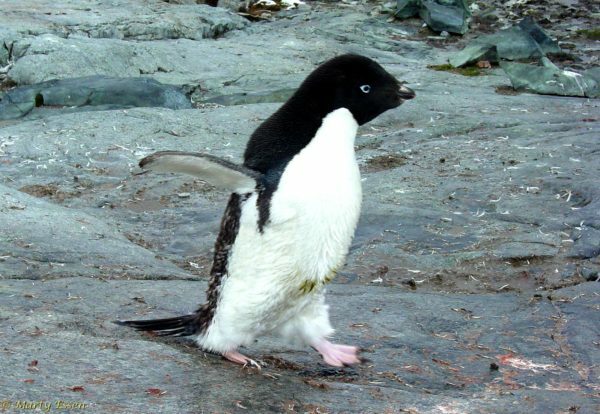 It’s an Adélie penguin that I photographed on a tiny island off the coast of Antarctica.